This tutorial is Part 2 of a tutorial series that walks you through the design and coding of a vibrant and professional web layout. 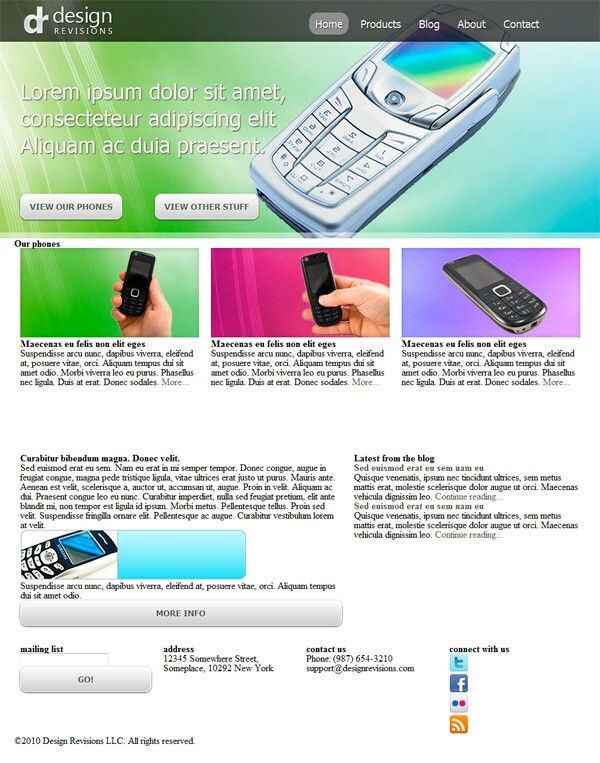 Part 1 dealt with designing the web layout in Photoshop. Let’s begin by laying out some groundwork. 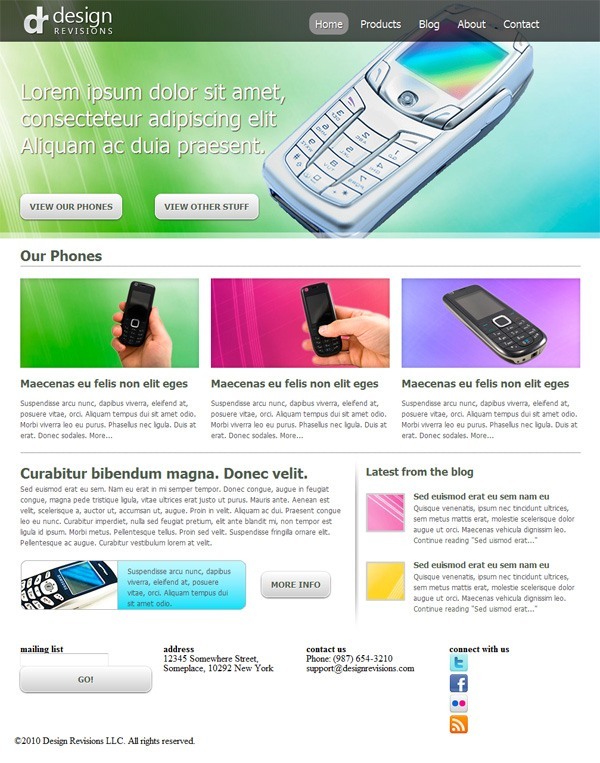 We’ll use the 960 Grid System CSS framework in laying out the structure of the web page. Check out this crash course guide called The 960 Grid System Made Easy. To minimize your head-scratching moments as you read through this HTML5/CSS3 tutorial, I recommend that you read up on the resources I’ve suggested above. I’ll still explain here and there as we go along, so don’t worry if you’re not an expert with these upcoming standards, but I’ll also assume that you already know at least the fundamentals of HTML5 and CSS3. Also, the 960 Grid System is an integral part of this tutorial, and it’ll take you just a few moments of your time to learn it if you read the guide I referenced above. If you’re ready, let’s proceed by completing the HTML5 markup first, without giving any thought to styling at this point to make sure that our markup is semantic and logically arranged for screen-reading users. I placed all stylesheets inside a directory called css/. You will need to download the 960 Grid System, extract the contents from the ZIP archive and place 960gs.css inside the your CSS folder. This is a vital part to the web design process. 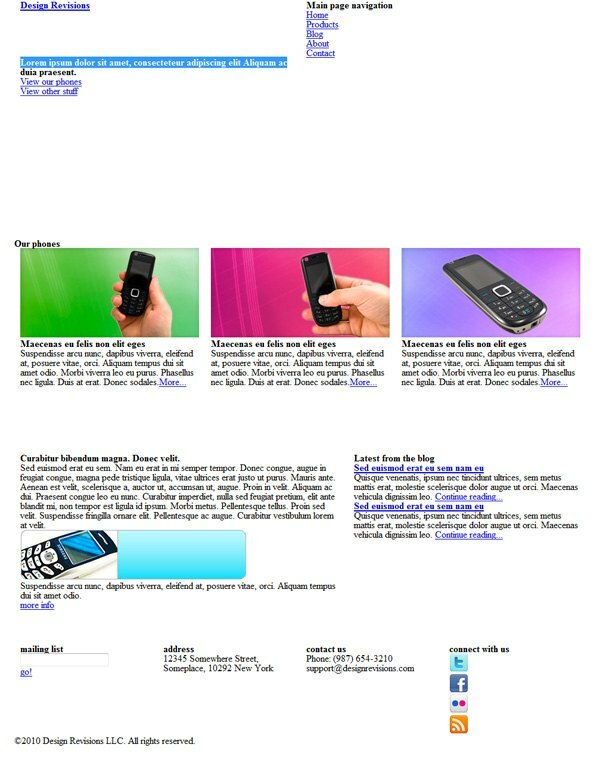 The reset.css of our document is not the reset stylesheet that comes with the 960 Grid System. As of this writing, the 960 Grid System is not yet updated for HTML5, so some HTML5 structural tags (e.g. <header>, <footer>) are not yet covered by it. The reset.css comes from the one proposed by Richard Clark of HTML5 Doctor, which I found sufficient for the job. Here is the HTML5 Reset Stylesheet for you to download. I’ve included the HTML5-enabling script, HTML5 shiv, which you can see inside IE conditional comments. HTML5 shiv was created by Remy Sharp to prevent IE browsers (8 and lower) from breaking when using these new HTML elements. We’re serving it directly off Google Code to take advantage of their infrastructure and increase the chances the script’s already cached in the user’s browser (speeding up the perceived performance of our web page for those users). The rest should be pretty self-explanatory: using <nav>, <header>, <section>, <footer>, and so on for the different containers of our layout. We can now insert the content inside our containers, now that we have the basic structure of our HTML document. Nothing too exciting here; just some dummy content to fill out our page. This is a good point to stop and look at how our site looks unstyled to see how accessible it will be when read by screen-readers. Keep in mind that we need to be flexible with our final markup, as we’ll most likely need to tweak it later on to achieve the look of our original design. With the markup finished, let’s now take a look at how we’ll apply the 960 Grid System classes to our design. 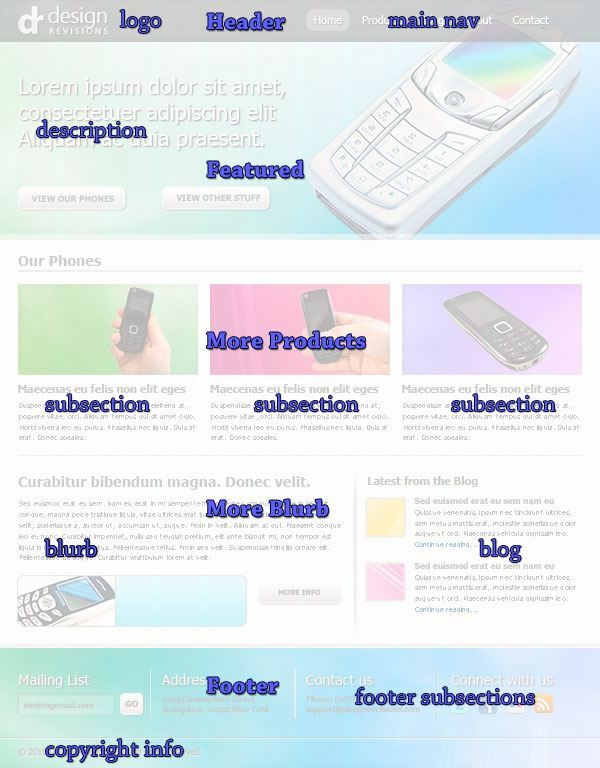 The layout we created in Part 1 has 5 major sections: the header, Featured, More Products, More Blurb, and the footer. You’ll also see that these major sections are further sub-divided into several sub-sections. Here is a basic guide on how we will implement 960 GS. We’re using 960 GS’s 12-column variant, so we need to add a container_12 class to the containers of each section in our markup later. For the header, we can see that the site name/logo occupies 2 columns; and after that, 4 blank columns (before the navigation area starts). We’ll give the site name/logo sub-section a class of grid_2 suffix_4 (note the class double-declaration). The navigation occupies 6 columns of width, so we’ll give it a grid_6 class. Our Featured section has two areas: the description at the left (with the buttons), and the large phone at the right. Although both occupy 6 columns, and each could be given a class of grid_6, I decided to set the large phone as a background image using CSS, and just let the description and the buttons stay in the markup. We’ll give the left section a class of grid_6 suffix_6. In our More Products section (it has the heading of “Our Phones”) it’s easy to see that each phone and its description occupy 4 columns each. We’ll assign grid_4 to each of these sub-sections. The More Blurb section has two sub-sections: the blurb section, which contains a further blurb-widget sub-section (not shown below) and the blog sub-section. The blurb-widget sub-section spans 7 grids (grid_7), and the blog sub-sections, 5 grids (grid_5). Finally, we’ll give our 4 footer sub-sections a class of grid_3 each, as each is occupying 3 columns. I’ll be referring to these classes later on, and if you need a refresher, just scroll back up here. If all of that sounded like a foreign language to you, read this guide on 960 GS. Let us grab some graphics from our PSD layout in Part 1, which you can download if you don’t want to run through the Photoshop part of this tutorial series. Next, let’s slice the background artwork in the header/Featured and footer sections (header/Featured slice shown below). Nothing special to note here except that you should maintain the background images’ sizes: 1920x400px for the header, and 1920x for the footer. You’ll also have to turn off some layers to isolate the background. What About the UI Buttons? You can either save the button as JPGs and set them as CSS background images or use CSS3 properties for gradients and rounded corners. We’ll do CSS3 of course; it’s more fun. 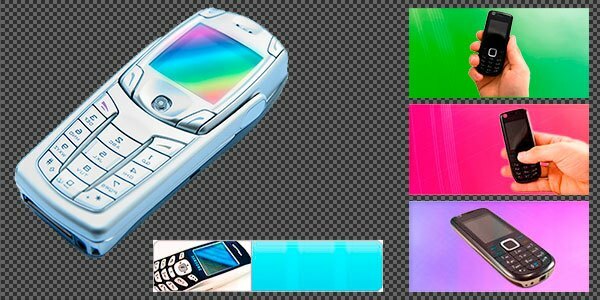 There are 5 phone images in this layout, and we need to save each one of them for the web, along with the thumbnails in the blog section. 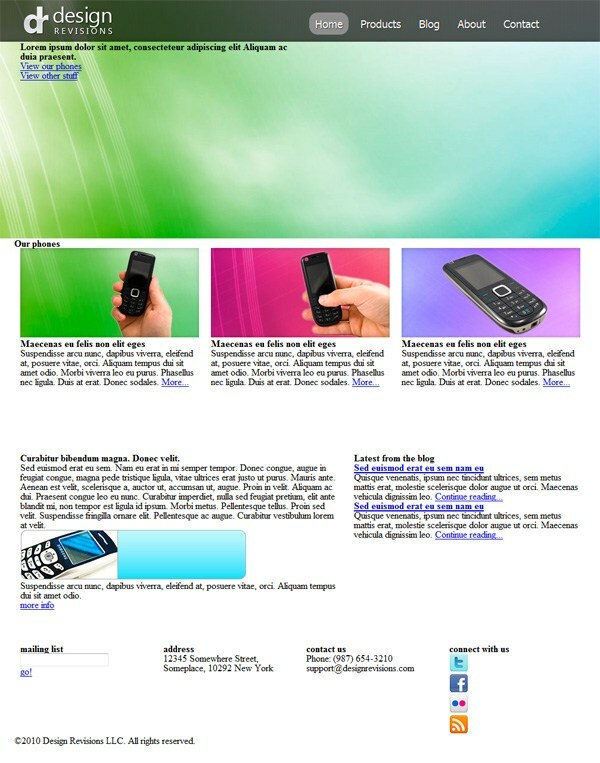 Save the large phone as a PNG file to maintain its transparent background, save the 3 phones in the More Products section and the one at the More Blurb section with their backgrounds as JPEGs. Finally, we also need to save the vertical separator in the More Blurb section as an image. We can probably do this in CSS3 using box-shadow and gradient properties with some loss in the design comp’s fidelity, but let’s go the traditional route for this one so that we can get this detail exactly the way it is in the design. As for the horizontal and vertical dividers in the footer, we could simply replicate that effect through CSS3, so there’s no need to slice those. If you would like to know about saving images for the web in the context of Photoshop, read The Comprehensive Guide to Saving Images for the Web. If you would like to know about PNG, read the Web Designer’s Guide to PNG Image Format. Now that we have our images ready, let’s start assigning the classes to our containers, and visualize how our document would look with the 960 GS classes applied. First, review the 960 GS classes we planned out in Step 3 if you need to, and then let’s apply them to our markup. I’ll remove some of the HTML elements so that we can better visualize our 960 GS containers. Note that only the relevant code will be shown from now on so we can focus on the particular section of the project. Not very pretty. But hey, with just a few 960 GS classes assigned to our containers, our design components are now starting to line up (mostly) according to our design. Let’s take our site build a bit further. Through CSS, I’ll assign heights to our containers to bring our web page closer to the original design comp. Note that I added a wrapping div around the header and Featured sections (#hfwrap) where we can attach our large background image later. Just let your imagination work for a little bit and you’ll see that already we’ve got the proper containers in place. All we have to do now is style each of the sections further to achieve the exact look of our design. And that’s what we’ll do next. 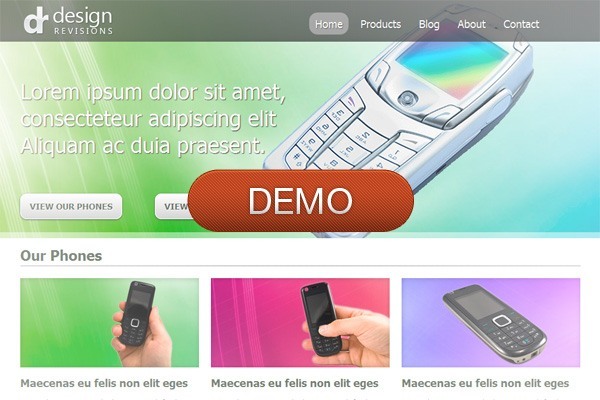 You probably noticed from the start that we have graphical elements outside of our 960px boundaries (e.g. 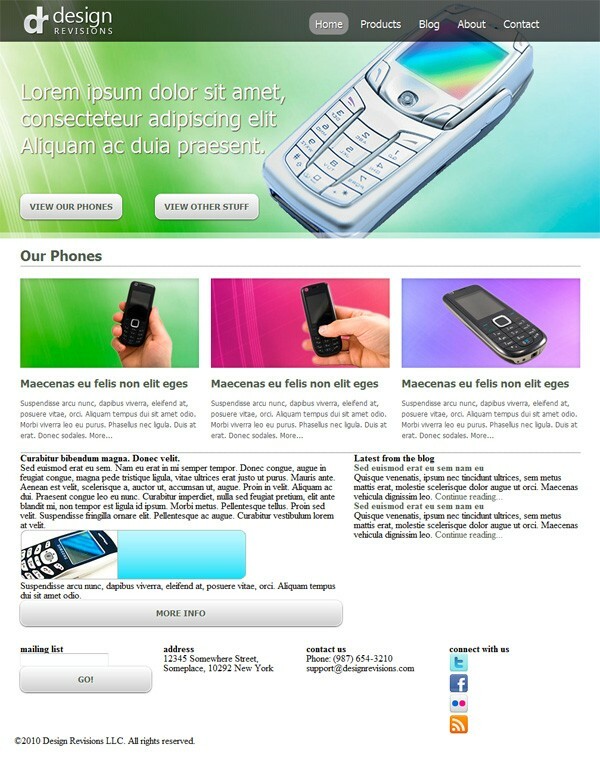 the large background images in the header and footer, the dark background of the logo and navigation, and so on). 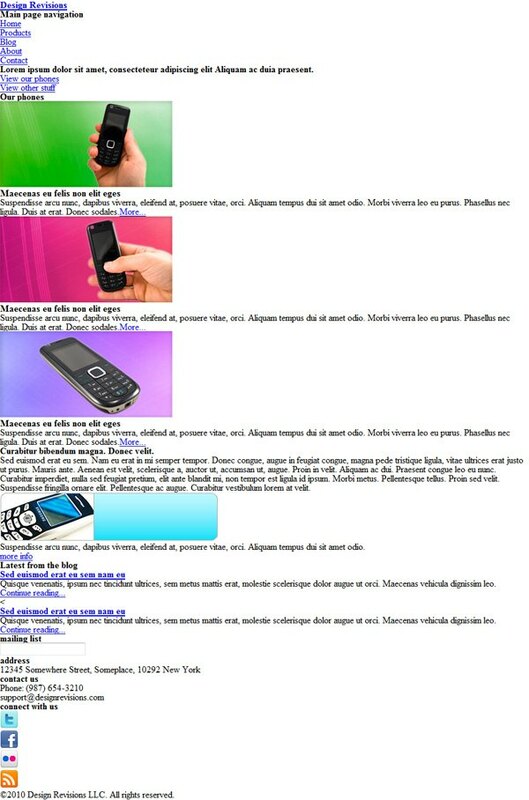 So how do we deal with these elements since we are obviously confined to just a width of 960px? One way of solving this problem is by determining how many elements over 960px need to be accounted for, and then creating wrapping divs outside the 960 GS containers so that they won’t be affected by the fixed widths of the system. As an aside, #hfwrap stands for header-featured wrapper, while #lnwrap for logo-navigation wrapper. Hey, they make sense to me! 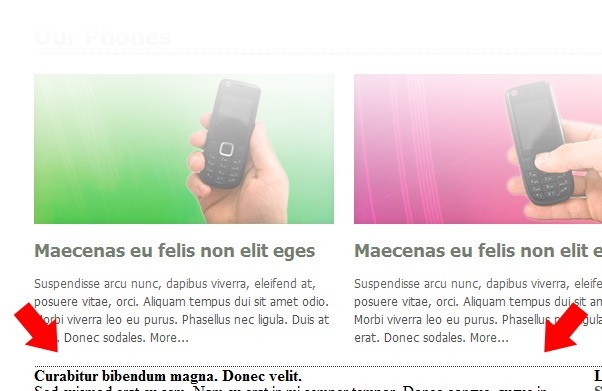 We use the text-shadow and border-radius CSS3 property for the hover effects on the navigation. This saves us from messing around with background images and extraneous markup that’s needed to support flexible rounded corner elements. 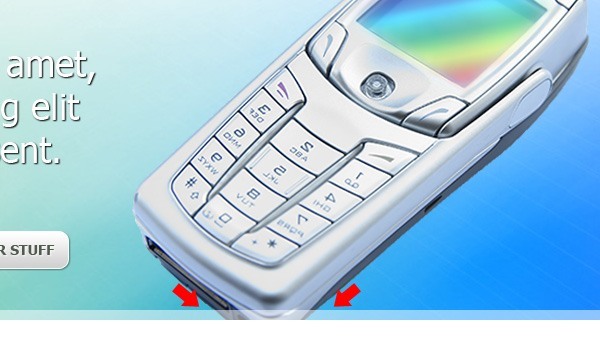 Up next: The description beside the large phone and the two buttons below them. As I’ve mentioned earlier, I decided to make the large phone a background image so we’ll create another container to hook the image to. We’ll also create pure CSS3 buttons that looks very similar to our design (with very little loss in the fidelity of our design). I just added a new container, #hfwrap2, directly below #hfwrap. I tried using CSS3 multiple background images for this, but I can’t get it to work on Chrome 7 and Firefox 3.6. At least this “old-school” technique still works! Let’s create the UI buttons using CSS. The code above is lengthy for just one element of the design. But bear in mind that it beats serving an image and is easier to change and maintain than an image button. The main things are that we use the gradient property for the color gradient fill, box-shadow for the drop shadow, and border-radius for rounded corners we had in the PSD layout comp. We also style the :hover, :active, and :focus pseudo-classes so that we visually present different states of the button as the user interacts with it; a good practice (especially :active and :focus for people with motor impairments that prevent them from using a traditional point-and-click device like a mouse). If you would like to read a more in-depth tutorial on creating CSS3 buttons, read this tutorial on creating CSS3 call-to-action buttons. I had to figure out a way to create the 10px-high translucent white band at the bottom of the Featured section. To get the translucency effect of the white band, we use the RGBA color value notation on the bottom-border property to set the color. The RGBA color value has a function notation that has the format: rgba([red], [green], [blue], [alpha]) where the [red], [green], and [blue] parameters can be 0–100% or 0–255 and alpha — which controls the opacity of the color — can have the value between 0–1. So in the code above, at 0.5, our white band has an opacity value of 50%, giving it the translucent effect that we want. There’s nothing remarkable about the CSS above, maybe except how the dotted border was achieved. I had to add <span> elements for it, set it to display: block, and declare border-bottom values for it instead of placing the bottom border in #more-products itself. This is because the border’s endpoints extend beyond the 3 photos’ edges (since it contains them), thus breaking the photos’ alignment with it. I had to attach it to an element that’s a child of the #more-products container for it to align perfectly with the photos. 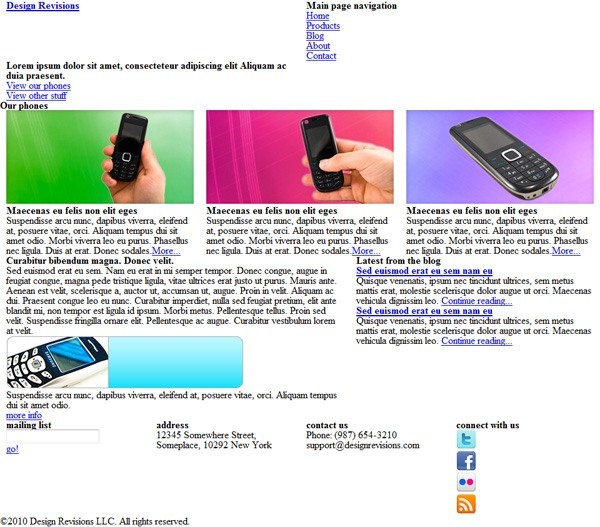 Again, nothing fancy here if you’re already familiar with “old-school” CSS. It’s worth mentioning, though, that I did a lot of trial and error just to come up with the precise values for the padding, margins, etc. of the elements, to achieve the look of our design. And for the blog section: Here we have two thumbnails for each post, with the post title and a short excerpt of the two most recent blog posts. No fancy stuff here. We finally come to the last section: the footer. We need to style two main components: the 4 sub-sections, and the copyright area at their bottom. Let’s attach the background image for the whole footer (similar to the one we have for the #header-featured section above). To accomplish the task, let’s create a wrapper div for the whole section, named #footerwrap. As you followed this tutorial, you probably used the latest Chrome or Firefox browser (being the geeks that you are) to check our progress as we wrote the code for our markup and styling. Unfortunately, at the time of writing, around 50% of Internet users still use browsers that aren’t future-standards compliant (i.e. they don’t support CSS3/HTML5 yet). Keep that in mind as you create your own web pages; you should use your judgment on whether or not certain HTML5 elements/CSS3 properties are good ideas to use on a production site. Make sure that you’re thinking about progressive enhancement, which is important in this transition period in our industry (with new specs, the Mobile Web, and desktop apps moving into the Web space). For this tutorial, I had the luxury of deciding not to support browsers that haven’t implemented/will not implement HTML5/CSS3 or that don’t have PNG alpha transparency support (IE6 and lower). But, in the real-world, you have to think about your users and you have to make many compromises in order to best serve their experience. So this tutorial’s product is more of a proof-of-concept — of how HTML5/CSS3 will make our jobs more awesome once our users move to browsers that support them — rather than a production-ready site build. Fortunately, some benevolent geeks have done some excellent work for us, to create frameworks and tools for this transitional period. I’m talking about the people behind projects like CSS3 PIE, HTML5 Boilerplate and Modernizr. Check these out when you have the chance — they can really help speed up development and reduce headaches. These frameworks are great to use for clients especially those with larger sites such as colleges. As you’ve seen in this tutorial, there is nothing you can design in Photoshop that you can’t translate into HTML/CSS if you have the fundamental background knowledge of how HTML/CSS works. With browser support for the new HTML5 elements and CSS3 properties getting better and better in browsers, our tasks will become easier, and our capabilities to deliver richer user experiences will be extended greatly. As an employee for a digital marketing service, this is important to know because you should be able to complete this for your clients. If you encountered any questions or thoughts you’d like to share as you went through our tutorial, I encourage you to leave your comments below.